I was super excited when my client said, “make my hair silver”! The very first step that will need to be done, is you hair will need to be bleached very light. I had to gently bleach her hair twice. The reason why is that the level of lightness needs to be very,very light, and this is because this is the only way for the silver to look like silver. The other accent hair color is the lavender. She had expressed how she gets a bit frustrated with the fact that the lavender can fade. 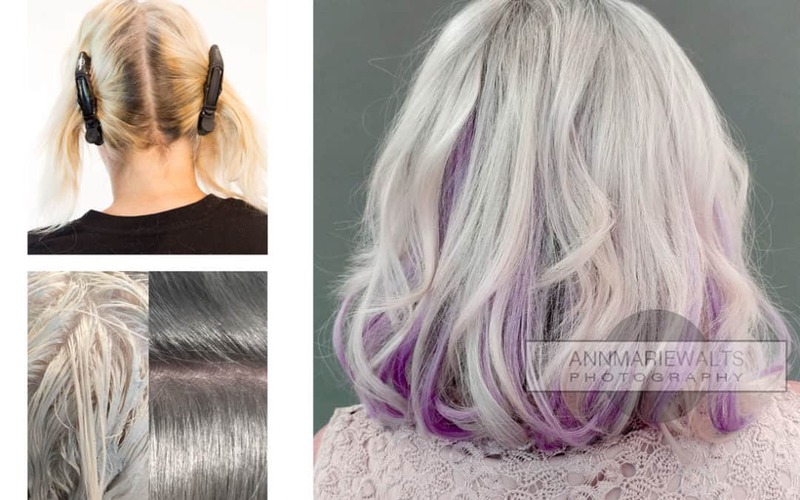 If you are look for a color resistant option to chemical hair color, then this is when you can add some Great Lengths hair extensions to your design. Great Lengths comes in so many, many colors. Some of them are called crazy colors. The hair extension hair is colorfast because of the way it is dyed, at the factory. Coloring hair is one of my favorite experiences to provide. 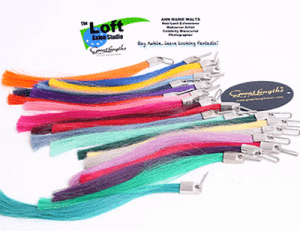 If you are looking a salon that is not afraid of making hair silver or any other shade of hair color, then you cannot go wrong with working with Loft Salon Studio. The best benefit of this design was that by adding both silver and lavender to her design, I was able to thicken up her hair. Hair extensions are not just for making your hair long.